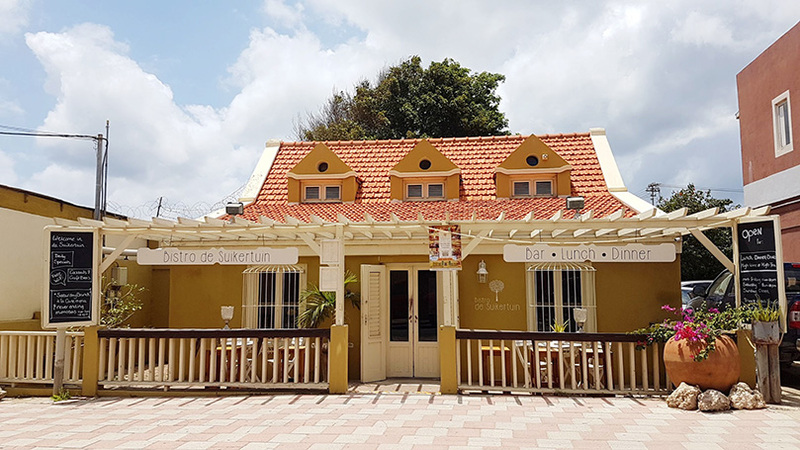 It is our great pleasure to welcome you to our authentic lunch & dinner bistro in the center of Oranjestad. 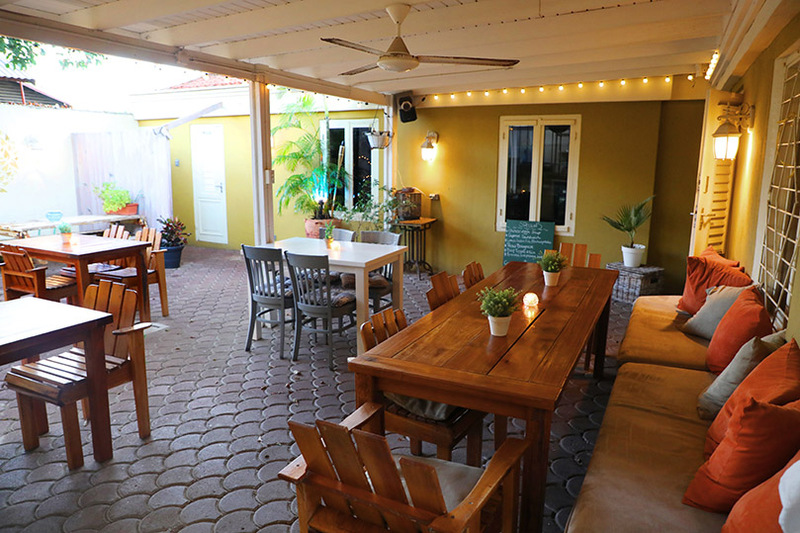 Bistro De Suikertuin has all the ingredients to offer you a lovely culinary experience. Do you wish a relaxing, delicious lunch in the shade at our inner courtyard or a cosy dinner inside, come to us. 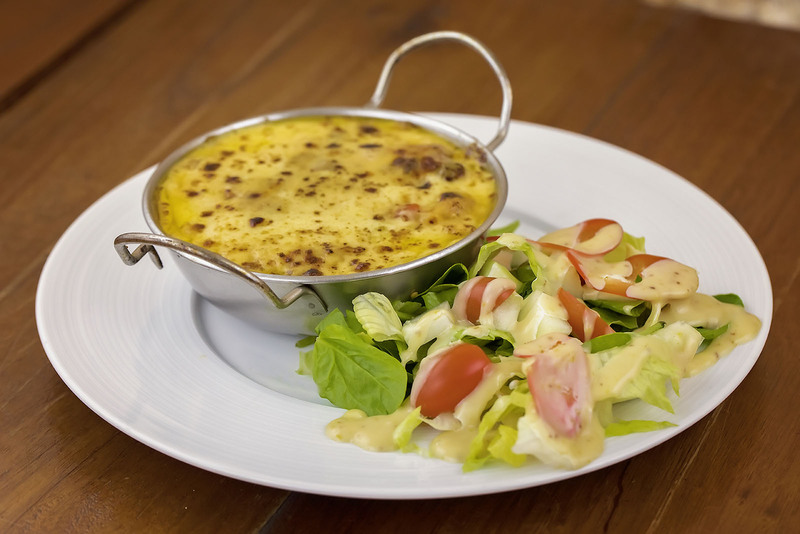 Oh yes, the personal touch, the home-made dishes, the eye for detail and the local touch make this restaurant stand out. Providing the best lunches possible and improving its take-out service belong to De Suikertuin’s future goals. The restaurant’s perfect location and special ambiance provide the setting and backdrop for a great meeting with friends, colleagues or family members; the catering service needs to impress without these added benefits. Should you have a reason to celebrate or do you just feel like pampering yourself, surrender then to the sweet and hearty seduction of our afternoon High Tea or High Wine. Catering has been invented to make things easy. De Suikertuin’s catering service is up to speed, ordered before 11 am, everything will be ready for pick-up on the dot of your specified time. Large orders may be delivered if possible, just ask us. Sandwiches, soups, salads or hot lunches are all possible. De Suikertuin specializes in caterings held at your home, office or on location and for private parties, weddings or meetings: De Suikertuin is what you are looking for! Catering options include lunch platters, salads, snack platters, cakes and sandwiches. Lunch meetings will be a lot more fun when De Suikertuin is catering. Please place your order via mail or phone. Home-made apple pie, carpaccio, keshi yena and Indonesian-style nasi goreng (fried rice with friend eggs, vegetables and satay) are De Suikertuin’s specialties. A wide array of other menu options can be found on our menu. Once or twice a month we also organise theme nights, like guest chef night, wine & bites and craft beer tastings. The Suikertuin’s theme nights have become much-anticipated: a select group of some 50 guests is treated to the cuisine of a guest chef. This chef’s origin is mostly the starting point for a daring, delicious feast for the palate. The evenings have in common that there is much laughter, great ambiance and superb food. The theme nights are held every two months or so.